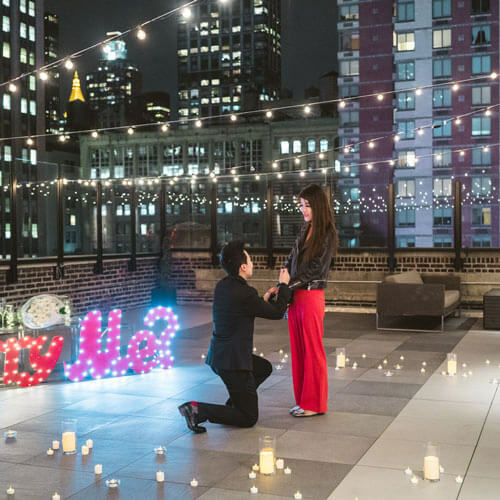 Propose with the great city view on the background . These unique rooftops are the city secret treasure and your greatest discovery. Brooklyn city view rooftops are perfect for those who wants to add a unique touch to their engagement. These rooftops has a really wonderful Manhattan and Brooklyn Bridge views. These are the biggest private rooftops in the city, which will be available just for you two.